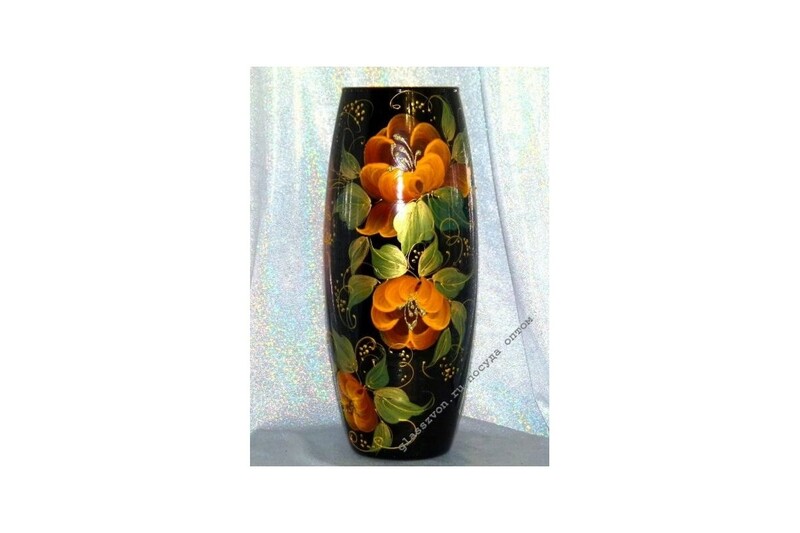 The painting in the traditional Khokhloma style adorns this vase of glass. It will be an excellent gift and a souvenir. 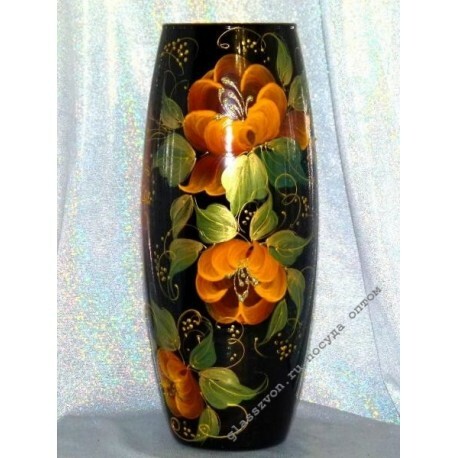 You will make the right choice if you decide to order from us vases in bulk. Ufa , Kazan, Bratsk - all these cities have already been able to appreciate the quality of our products. In the online store directory you will find not only vases, but also dishes, souvenirs, glass and crystal chandeliers. Since we are not intermediaries, but a manufacturing plant, the prices of our products are attractive, and we are 100% sure of it. Join and you to those who have already become a fan of products from the city of Gus Khrustalny.